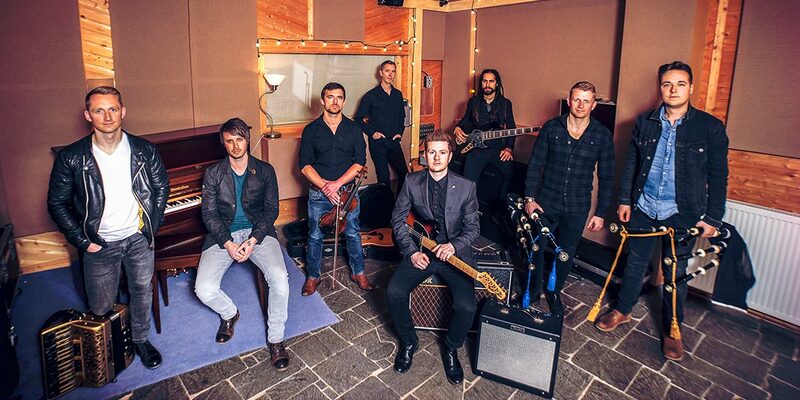 Skerryvore create a unique fusion of folk, trad, rock and pop that represents all of the different personalities and upbringing of the eight band members who hail from different regions of Scotland. With their outstanding musicianship and the mesmerizing voice of award-winning singer-songwriter, Alec Dalglish, Skerryvore has become an international sensation, performing in cities such as Dubai, Beijing, Shanghai, Madrid, Munich and New York. Skerryvore are two-time winners of Scotland’s Traditional Music “Live Act of the Year” Award (2016, 2011). The release of their single “Live Forever” in 2017 provided the soundtrack for the Scottish tourism promotional campaign “Wild About Argyll” and saw the single hit No. 1 on the iTunes World Music chart.